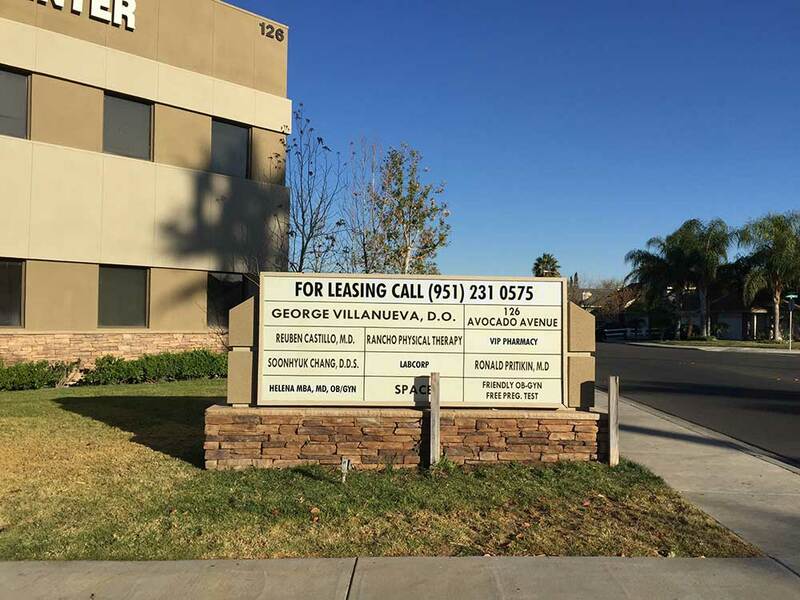 Monument signs are a cost-friendly solution for drawing attention to the location of your business from clients and passers-by. They are particularly effective in multi-tenant office and retail centers where customers need help in identifying your specific location. The broad range of available styles, sizes, and heights of these monument signs are as unique as are the companies that commission them. What are your options? In the past, concrete and stucco were the most commonly used materials for monument signs. With the advent of exterior-rated high density foam, however, the options have broadened. Foam monuments fall into the category of ‘engineered materials’ are now frequently pre-formed and available in attractive modern looks. Sizes vary. It is possible to accentuate the surface of a foam monument to mimic the look of bricks, wood and stucco. Both standard materials (concrete / stucco) and engineered structures have a place in the monument sign designer’s toolkit. We can work with you to identify the style and material that best serves your needs – your brand, your timeline, and your budget. Whether you have a single or dual-facing monument, you display your company’s actual information in this space. Here, a wide variety of choices allows for a fair amount of branding. 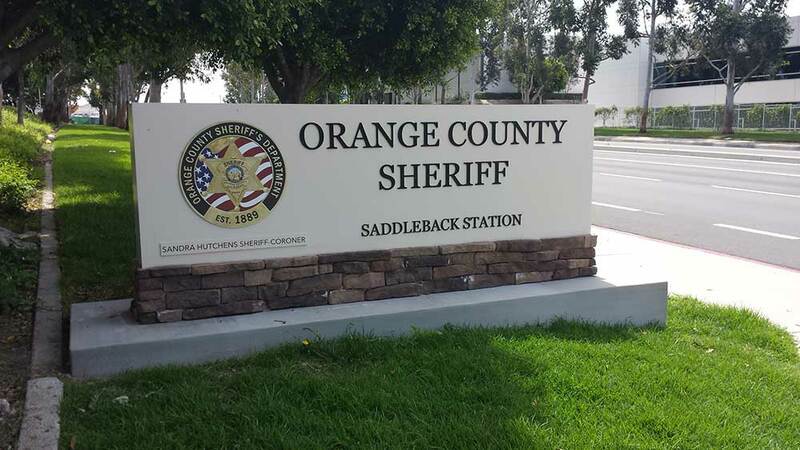 Options include painted aluminum dimensional letters, routed panels that are set into the monument, and PVC shapes with raised letters that spell out your name and display your logo. 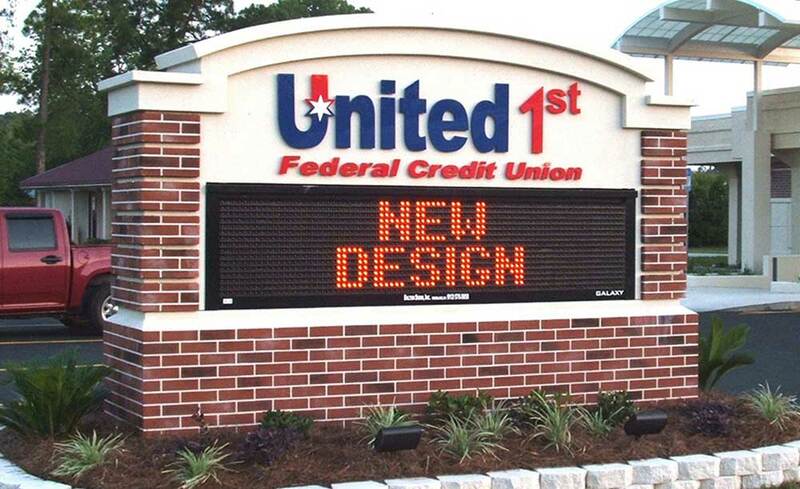 One of the growing trends in the area is the use of LED units or standard reader boards. These are favorites of schools, faith communities and retailers whose business models include hourly specials and sales. LED units are modern and colorful. 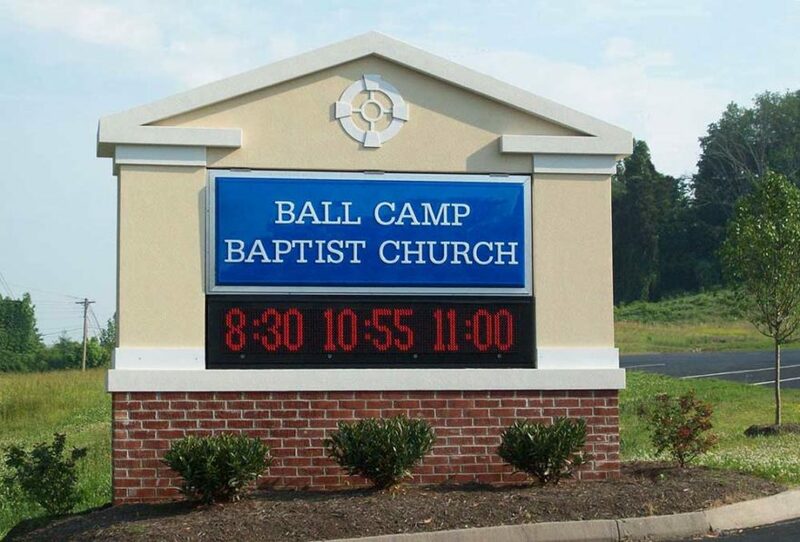 They let you change the message from the comfort of your office and provide you with interchangeable eye-catching graphics. When we install a monument on your property, one of the most important aspects for your consideration is use of lighting. We fabricate illuminated signs based on a variety of approaches, to ensure consistency with your brand, as well as with property management, office or retail center, and city requirements. If you wish to opt for a non-illuminated display instead, the options are also numerous. Many of our business clients decide to use landscape lighting for the after-dark illumination. This setup offers an attractive, dramatic display. 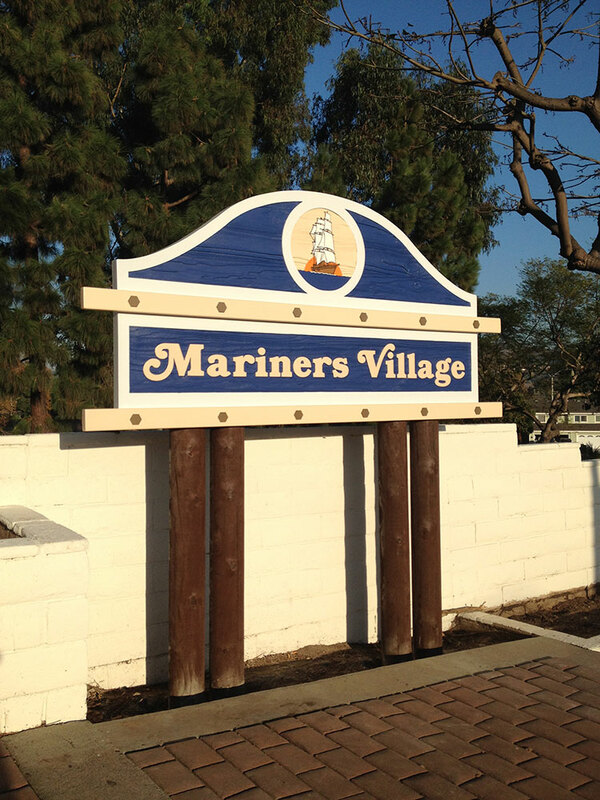 Beautify your property and brand your company today with a monument sign from Starfish Signs & Graphics. 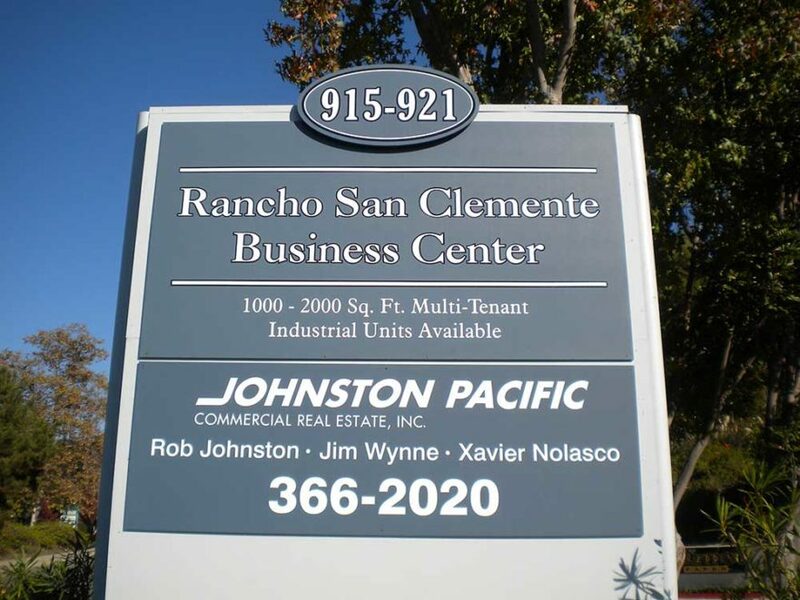 We serve the business communities in and around Orange, San Diego, Los Angeles and Riverside Counties. And we’ll be glad to show you examples of our work, whether in San Clemente, Irvine or Newport Beach, to name just a few. 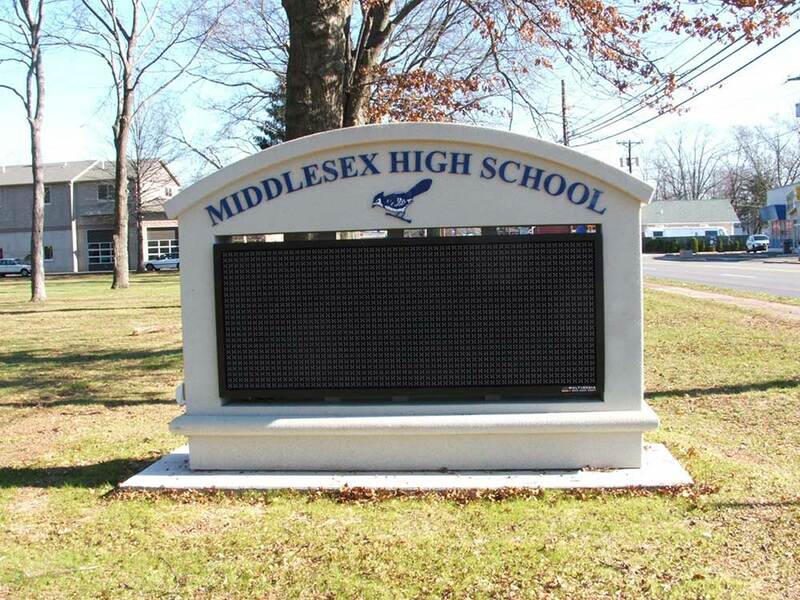 Check out the work we’ve done for other monument sign projects.